Have you set goals to help you live healthier at every life stage? This is the second post in our series on building a personalized health plan for optimum health. In the first post, we looked at gathering the information you need to build a health strategy. Here, we’ll talk about how to set goals to put your strategy into action. Researchers have found that when people set specific goals as part of their financial plan, they’re more likely to stick to their plan and achieve their goals. The same strategy can work for your health as well. But where should you start? 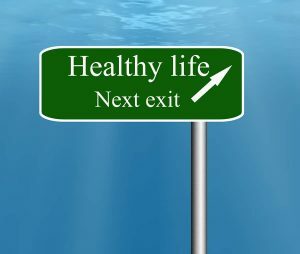 The simplest approach is to consider the different stages of life, what health issues you may face, and what you can do now to lower your risk and achieve your best health at every age. Start the process of setting goals by taking stock of your health today. Are you healthy? Do you keep up with appropriate immunizations and health screenings like blood pressure, cholesterol and blood sugar levels and cancer screenings? Have you shared your family health history with your doctor and developed a plan to manage your risk for any diseases or health problems that may run in your family? Are you living with any chronic health problems like diabetes, asthma, heart disease, auto-immune disease, gastrointestinal problems, or depression? Are you following your doctor’s recommendations? If not, what roadblocks or challenges are getting in your way? Have you considered getting a second opinion? What’s your process for establishing your health goals? What goals have you set to ensure you lead a healthy lifestyle at every age? Do you need guidance and support to lose weight, overhaul your eating habits, manage stress and sleep, or increase your level of physical activity? How will you measure your success and what’s your plan for reviewing and updating your goals? Ideally, you should start your assessment and goal setting while you’re in your 20s or 30s. It’s helpful to partner with a health advisor, coach, or specialist who can help you set realistic goals and develop a plan to achieve those goals and measure your progress. By developing a plan and a support system, you can be proactive about your health rather than waiting and being reactive when a health issue arises. Starting your plan early and following it can help you maintain your good health. When you don’t work to manage your health risks, you may end up having to deal with more significant health problems down the road. The next phase of life to think about is your 40s to early 60s. For many people, this phase of life is when they first face more serious health issues, such as joint pain, GERD, and an increased risk of heart disease and certain types of cancer. Consult with your physician and identify recommended appropriate screenings, including colonoscopy, skin cancer screening, DEXA scan and hearing and vision tests, in addition to checks of your cholesterol, blood sugar and blood pressure. Women should also set age-appropriate schedules for mammograms and Pap smears and men for prostate cancer screening. Ask your doctor if there are any other tests you need based on your personal risk factors and family history. Work with your physician, a trainer, or a nutritionist to fine-tune your diet and exercise routine to help you maintain a healthy weight, get the nutrients you need and adapt your activity to protect your joints while still providing a good aerobic workout. Make sure to include strength training and weight-bearing exercise, like walking, to help preserve the health of your bones. Talk to your doctor about stress management. Stress increases your risk of developing a wide range of serious health problems, including heart disease, digestive problems, diabetes, asthma, and cognitive impairment. A health advisor can connect you with stress management resources tailored to your individual situation and preferences. Adequate, healthy sleep is an essential part of staying healthy at every age. As you get older, you may experience a range of sleep-related issues, such as sleep apnea, insomnia, and difficulty falling and/or staying asleep. Your doctor or health advisor can help you get an accurate diagnosis and treatment plan for any sleep problems you face, which in turn can help you manage your risk for health problems including heart disease, cognitive impairment, stroke, and diabetes. Be proactive in documenting your preferences and wishes in an advanced care plan so you’re prepared if you face a serious illness or injury. Next in this series: Stay tuned for Step Three, which focuses on identifying and taking steps to manage your individual health risks.